If I could filter rice, I bet this Berkey could get the white off. I’ve been waiting for almost a year to have a Berkey filter in our home. When we were selling our house, it just didn’t seem like a good idea to invite one more large appliance in, since clearing the counters is a priority for house showings. Of course, I’m not sure “appliance” is exactly the right term, since it doesn’t need to be plugged in (a huge bonus!). What Does the Berkey Do? The Berkey filters 99% of everything (a technical term). I’m thrilled to get the chlorine, pathogens, heavy metals, and other weird things out of my water. The only thing I know of that it cannot touch is hormones, which are sadly rampant in our water supply because of artificial birth control and hormone replacement. However, from what I understand, nothing can touch that stuff. I have extra filters to get the fluoride out, since fluoride is, in my opinion, a weird additive that we don’t need to ingest. Fluoride is a byproduct of some industrial process, and really, people who ate well a hundred years ago did not lose all their teeth. A bit lucky, I suppose, since I ate a fairly standard American diet, but I’m not too worried about our teeth. If I want the kids to have fluoride, it will be in their toothpaste (and oh, isn’t toothpaste another story entirely! One I’m still working on…). So far, I love the Berkey. You definitely need a dedicated place for it that won’t be under a cupboard, because it’s tall, maybe two-and-a-half feet, but it’s not quite as wide as I was expecting, only about a foot diameter. Our Berkey holds 3 gallons at a time, which has been enough without problem, even with making chicken stock, oatmeal, and company over (as long as we remember to fill it). We had a piece of furniture our microwave sat on in our old house, and it’s the perfect spot for the Berkey. I can serve myself water from the table without even standing up (or stopping nursing, if that be the case). Beyond feeling really, really good about the clean water, my absolute favorite part is that my kids can now serve themselves water. It’s awesome to have one more thing in the kitchen that’s easy for them to do, since we’re really working on increasing responsibility around here. It’s usually the 6yo’s job, with a 1/2 gallon plastic pitcher and a chair. He loves doing it. Here’s hoping that enthusiasm doesn’t wear off any time soon. When I realize I forgot to ask Paul to fill the Berkey, I just run the water into the pitcher while putting away dishes or something, then pour it in. The worst part about the filter is that it takes a really long time to fill a pot for something like cooking with dry beans. Holding the pot underneath the spout is much more involved than plunking it in the sink and letting the water run. However – the microwave cart has a little shelf, and I’ve learned that a big heavy pot will sit there while the water runs into it. Score! The flow of the water is actually better than I thought it might be, too. I’m a busy, hurried person, and I like everything to be FAST. I don’t get annoyed while waiting for my 16-ounce glass to fill up. You can set the spout to continue pouring or just push the lever backward and it stops when you release it. That second method allows me to fill a glass with one hand, another HUGE benefit for the mom of a 5-month-old! Putting the Berkey together was a job delegated to my husband, and he gives one word of caution: you have to tighten the spout incredibly hard, so hard you think you might break it. 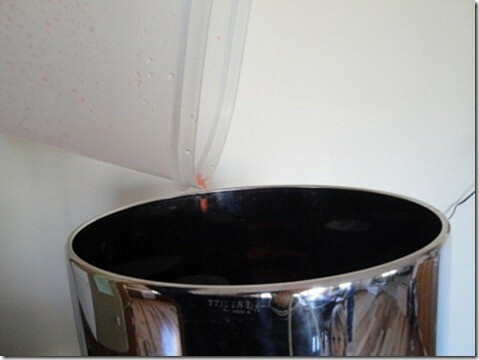 Fill with just a 1/2 gallon of water the first time and let it sit on a counter with a towel nearby. You’ll probably have a leak and some troubleshooting, but it wasn’t too much of a pain, and now that it’s put together properly, we don’t even get one drop on the floor. We did have an 18-month-old visit, who quickly reminded us that the water filter is NOT childproof, and it IS fun to pour water on the floor. !!! I can’t think of any way to keep the filter away from a child (it’s much too heavy to move around when full), so we just had to train the child to stay away from the filter. It took two timeouts, and he never went near it again. Great parenting! I kid you not. This thing takes the color out of water. I couldn’t get the red off my fingers for three days, and in only a few hours, all the food coloring came out. A. Maze. Ing. I feel pretty confident that the Berkey also took out the nasty parabens that I discovered were in the food coloring! We LOVE our Berkey. Makes the best tasting water ever. We’ve had one for a few months and LOVE it, too! We got our Berkey last spring & it is absolutely amazing! The water clarity & taste is fabulous. It is worth every single penny we paid for it. Caution though – we discovered the spigot isn’t the highest quality. Since you have kids, do be careful. With two adults in our house, we are considering replacing the spigot to a higher quality because it has “worn out” with much use & now requires being careful with the pressure to “turn it off”. A very, very small thing in my opinion. When I lived in a village in southern Africa, these are exactly the water filters we used. 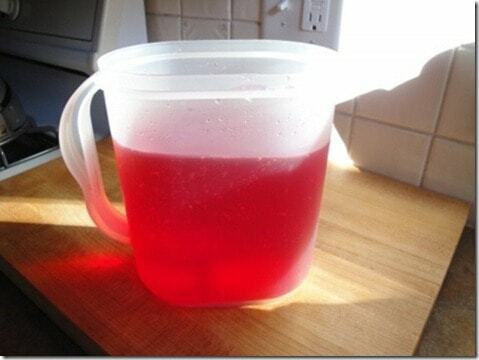 I poured gray & brown river water in there & drank it clear, so I’m sure it can get out red food coloring. The filters got all slimy & yucky every 3 months & had to be cleaned, but they worked super hard to keep me safe from cholera & amoebic dysentary, so I gladly cleaned them. Never thought about having one here, but it would be a great idea. Better than the little Brita I have. That’s what my boyfriend found out when we did our initial research. He said that these are what the WHO and similar organizations use in areas where clean water is not available. I’m glad to hear that this is true from an independent source. Anyways, that’s really cool with the red dye and all. Love to have one, but between the big price tag and my postage-stamp size kitchen (seriously, I have about 10-12 sq ft. of useable counter space, and all I have on my counters is a toaster oven), it’s just not do-able right now. Naturally occurring fluoride is not at all the same thing as the sodium fluoride that is added to municipal water supplies. The latter is a byproduct of refining aluminum. Even the natural stuff can be overdosed on, though, and isn’t as useful as the dentists think. Excellent answer Heather, couldn’t of put it simplier myself. I love my Berkey, too. As a renter, I really appreciate the affordability of a countertop water filter. One thing to note is that the Berkey does not soften the water or take out the hard minerals. I have a noticeable layer of white silt floating around in my teapot after boiling the filtered water and have to pour it through a coffee filter. But for drinking water, the Berkey is wonderful! 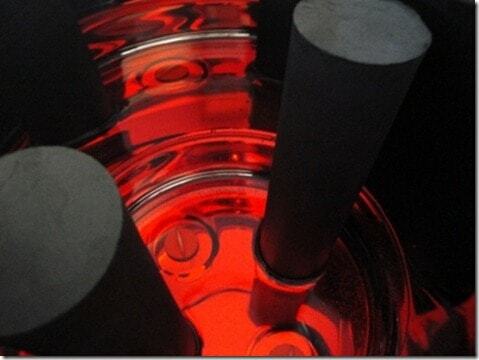 Leaving the minerals in is one of the advantages of the Berkey. The minerals are good for you. A distiller removes the minerals and they must be added back in with mineral drops. 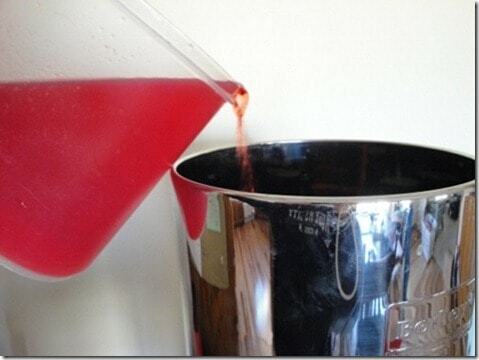 Minerals in water are not always beneficial, take for instance hard hard water with too much iron. We don’t need too much of this heavy metal, get it from plants and meat instead. Wow, I’ve never had this problem with my Berkey. How interesting. I definitely use it for making tea, so I am boiling it. Wow! That’s amazing! Do you know anything about whole house water filters? I’d love something that could take the chorine (and everything else) out of my whole house – so the water is clean in both the kitchen and the bath. Be willing to spend a LOT of money. A whole house system can run several thousands of dollars. I am debating between an under the sink RO system or a Berkey. R/O is not practical for whole house filtration because it is really slow. About four years ago we installed a large carbon block filter on the main water line coming into our house to filter out the chlorine in our city water. Worked like a charm. It is good for about 45,000 gallons (a year for our family of 5). Installation (by a plumber friend), filter and housing cost about $400. Annual cost is about $65 for a new filter and extra gasket. It does reduce water pressure a little. We got it from purewaterproducts.com, but I’m sure there are many other places. Their customer service has been excellent. This system doesn’t take out fluoride, so we got a Berkey to do that. I prefer it over a R/O system because I don’t have to add mineral drops (and I’ve read some nasty things about heavy metal contamination of those), it’s useful (portable) in an emergency, and less maintenance than R/O. You have to get the post-filters to get the fluoride out with a Berkey. It doesn’t do that with the standard filters. I just read that on the Big Berkey site. You can get Berkey filters for your shower heads on the Big Berkey site. 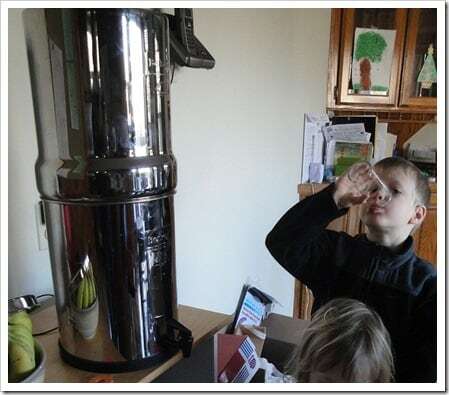 We got our Berkey for Christmas and LOVE it! We have well water but are renters so we haven’t had the well tested…we use the Berkey for drinking water but for most cooking I just use the tap water — I need to keep a jug in reserve for cooking uses! Yes, love our Berkey as well. Fortunately, we have a small bar area right above our kitchen sink where I can keep our Berkey. This way, the spigot is above the countertop in case of spills, etc. (although I will note that it doesn’t leak AT ALL, but sometimes we make drips filling it up, etc.). On the spigot-when I first put ours together, I had a terrible time with the spigot leaking and actually took it apart and put it back together 2 or 3 times, twisting as hard as I possibly could, and it STILL leaked around the spigot. I called the company, and the lady told me to try switching the placement of the washers (to actually do it the OPPOSITE of the directions that came with the Berkey). That did the trick and worked perfectly, so I would definitely recommend trying that as well. We love ours. We’ve had it about a year maybe. 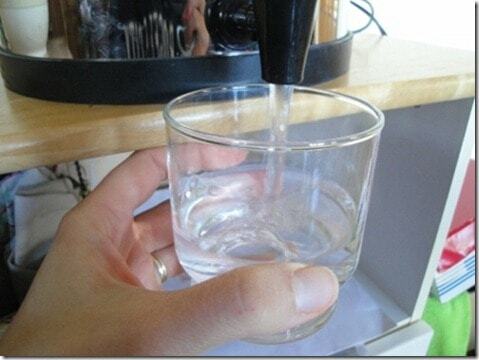 You should get the water view spigot, then you can tell if you need to fill it and always have enough filtered water. We LOVE LOVE our Berkey. It is great to have where we live. Every missionary should have a Berkey in their home… seriously, great for those who live without electricity, have bad water options and struggle with health. 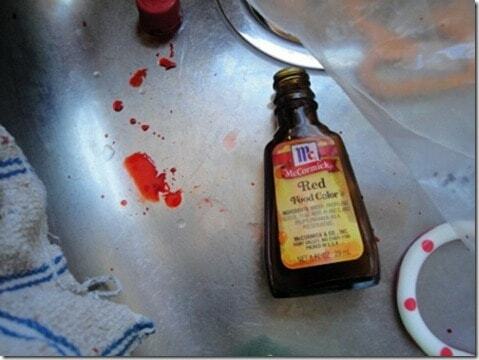 Glad you tried the red food coloring trick… I wanted to do that, but didn’t get around to it! I need to get the fluoride filter too, but we’re in the process of moving, so I hate to buy one and then move somewhere that might have well water. Bekah did that once too! She opened a cabinet near it to get a cup and pushed it completely onto the floor. It broke in half (the parts that are intended to come apart) and spilled EVERYWHERE. I was mad. Wow, I must have that ASAP. Thank you so much for the review, Katie! We cannot thank you enough for doing this review, as the pictures are amazing, as is the story behind them. We are also glad to see so many positive reviews here in the comments, thanks to all for your kind words. A distiller would get everything out of the water including hormones. They are pretty cheap too. First, I’ve been told by someone in the industry that pharmaceuticals are pretty much impossible to filter out, even with the best anything that anyone has. Also, the nice thing about the Berkey is that the water isn’t distilled – distilled water has zero minerals and isn’t good for drinking until minerals are added back in. We have had ours for just about 6 months and love it! Heidi ^, is that really worth the extra cost? I was considering it, especially after I overflowed it one night when we went to bed! My mother in law has one and she gets around the long fill issue by keeping a large pitcher of the filter water either on her counter top or in the fridge (depending on the weather and her space). then when she needs it for soaking or other large needs its ready! We love ours! We’ve had it almost a year. Sometimes it filters so slowly, and if I’m making kombucha + stock + normal drinking water it’s not enough! So when we are anticipating this we try to filter extra and “stockpile” it for those bigger uses. 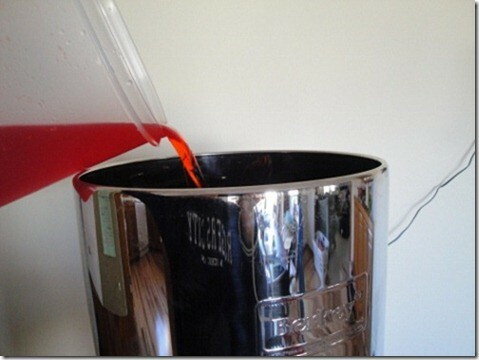 We have the Berkey light, which does only 2.25 gallons (I think), which is NOT enough for 8 gallons of kombucha! lol. It usually takes a full day of refilling it every hour (not that it’s completely filtered, but maybe a gallon will be) to get that done if I don’t plan ahead! I’m a bit overwhelmed by all the Berkey systems on their website….which one did you guys get and (if you don’t mind me asking) how much did it cost?? Thanks! I got one based on a lot of glowing reviews. I used it for three weeks. It failed to filter out the horrible taste and smell of our local tap water supply. Couldn’t stand it. So I sent back the Berkey for a full refund. I had to go with an undercounter Reverse Osmosis filtering system. 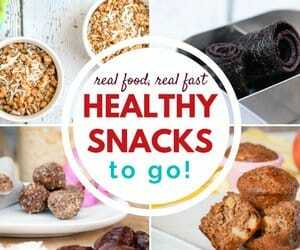 I did my research and chose one recommended by Consumer Reports testers. Problem solved. Would you mind telling us what brand you are using? It’s a Whirlpool brand Reverse Osmosis System; model WHER25. Sold at the big box store with the navy blue & white colored logo. Glad you got something figured out! One thing we haven’t done yet is test water with a strong taste. We plan to drag the thing to my grandparents, who have really iron-filled well water that my husband can’t stand, and test it out there. I’ll keep you updated! Our water has a lot of iron in it and I worry about the filter getting clogged quickly. I’ll be interested to see how the Berkey does with your grandparent’s wate. A Berky has been on our wish list for a while now. Your post just helped bump it up, in my mind. Right now we are using a PUR water filter that holds one gallon, and we fill a couple of gallon sized glass jars each day so we have extra for soups and bone stock and the like. Better than nothing, but I know the Berky is better. Thanks for the review. The only water purification method that can remove flouride (to which I have adverse reaction) is distillation. I don’t know about hormone molecules but since they’re pretty big, I would imagine it would remove those as well. A distiller is the next purchase on my list but they’re rather pricy and require power. Since distilled is the standard for pharmaceuticals and research, that’s probably the best you’re going to get. It’s a personal and financial choice. There are special add-on filters that can remove fluoride from water using the Berkey system. We love our Berkey. I love the fact that I can leave water in my bedside water bottle for weeks without it getting funky or stale. Since the Berkey filters out bacteria nothing grows to make it taste bad. Tap water was a whole different story. Does anyone have thoughts on using tap water for a water birth? Could chlorine be harmful to the newborn’s gut flora? I can only dream of the Berkey for now as finances don’t allow for any extra spending. Looks wonderful! Uncle John was talking about it 7 years ago about this filter! Melissa, when I received my Berkey about two months later the filters separated. The online place I ordered from sent replacements. They ended up being defective too, but you can’t tell until they separate. The manufacture sent new ones. If you get a Berkey make sure it’s the NEW STYLE of filters. I also have had issues with the wing nuts not attaching the filter tightly enough. The manufacture replaced them. So far so good (it’s been at least a couple months now)…but had we been using bad water we very well could have ended up sick. I’m just not confident enough to trust it completely in a bad water situation. Hi, Mine were defective too. All 10 of them. I will never trust a black Berkey filter again. 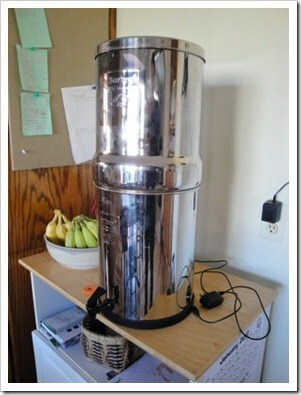 I replaced the black Berkey filters with Aqua Cera filters. The Aqua Cera, Doulton and genuine British Berkfeld filters (NOT to be confused with Berkey) all fit in the Berkey stainless tell housing, and cost far less. new Millenium Concepts sold defective filters for more than a year, despite several filter redesign, the defects keep showing up. The plastic base comes unglued from the ceramic filter, and allows unfiltered water to pass through. I won’t ever trust my health and my life to one of their filters again. Hmmmm…I’ve had this open for a while and just don’t know what to think. I am still impressed that it gets food coloring out…but I don’t know. Sorry I took so long with a response, but I wasn’t sure what I thought…I will keep looking into it. Katie, I heard a couple of recent interviews with David Getoff, ND (pres. of (Weston) Price Pottenger Foundation) recently. He actually bought a fluoride meter to test his various attempts at filtering out fluoride. R/O does work, and carbon block followed by bone charcoal then porcelain “knocks it down quite a bit”. There is a podcast interview from Dec. 15, 2011 on UndergroundWellness.com, and a couple of videos in the second row under the video tab. And I forgot to say that he was disappointed to discover that activated alumina (which I believe is what Berkey uses) does not work very well. The carbon block, etc. I listed above have to be used in combination. The PF2 Filters, which contain alumina are great and reducing the amount of fluoride from the water. Optimal levels of removal were >99.75% reduction. Thank you Jeff. I remember reading that on the info sheet that came with my PF-2 filters. I am reporting what a respected doctor has discovered in his experiments. The thought occurred to me that perhaps the Berkey’s carbon-covered ceramic filters make quite a dent in the fluoride content even before the water gets to the activated alumina. I’m hoping so, since I am relying on them to take it out. Here’s an anecdote for your dental hygienist: I’m 27 years old. I have been to see a dentist perhaps 10 times in my entire life. I brush my teeth with pure baking soda and use 3% hydrogen peroxide as mouthwash once, maybe twice per day, but never more. I never have bad breath. My gums never bleed. My teeth are white. Best of all, I’ve never had a single cavity. I’ve never even had a toothache! It can’t be genetics, since my mother, father, and siblings all have had multiple cavities (though by some standards, their teeth are still pretty good) and of my grandparents, two have their own teeth, but have lost several and had several cavities and problems and two have dentures. They all drink fluoride. I don’t. Obviously there are other factors at play (my real foods diet is no doubt a huge variable), but fluoride can’t be as beneficial as the dental community would have us believe if it hasn’t helped my siblings in the least. This is so cool! I had no idea they existed. I want one of this in my future. Judi Harris Johnson and Heidi Cressman – I didn’t know about that option! That’s one deficit I forgot to mention in the post that my husband and I said really needed: a way to see how much is left. You need two hands to check, not cool! We got the water view spigot as a free option when we ordered, but I would HIGHLY recommend it! SOLD!! Katie, this review couldn’t have come at a better time. I’m super sensitive to chlorine in tap water, and I’ve been searching for a filter to use in our new home. I’ve never heard of Berkey, but it’s exactly what I’m looking for! Bought one today 🙂 THANK YOU!! Make sure the filters are the newer style. They had a bad batch of filters. I bought a Berkey last year and had bad filters, didn’t know it until about a couple months later of use when they came apart. I was sent replacements (from the place I ordered it from) but they were defective too, again finding out a couple months later. I have also had issues with the wing nuts not tightening the filter onto the device properly enough, to which they did send replacement wing nuts….. But it does filter great when it works, I’m just not confident in the product to trust it to really filter the water if we really needed it to. I have a Berkey and I love it, but after doing some recent research it seems that the claims made by New Millennium Concepts are either false or unverified. The testing they claim to have had done by universities is either not corroborated by the stated universities or was performed at schools without accreditation or good reputations. That bothers me a little bit. Still, I own a Berkey filter as well as a Berkey-Sport and I have been pleased with the overall performance. I would like to have the water actually tested (or to have someone else do it) so that I can have independent verification that the Berkey does what it says it does. I’ve been contemplating getting the post-filters too that remove fluoride as the Berkey Black and White filters do not remove it on their own. Did you know that? I am actually aggressively looking into testing my own water before and after, and I have some PDFs of independent Berkey testing that JUST came in my email. I’m on it…might not be this month on KS, but it’s coming. I’m frustrated by New Mill’s response to their bad filters, charging people to get replacements instead of at least giving them for free if not a total recall. Sheesh. I found out that fluoride is not added to the water supply here in Hawai‘i anymore, but they do use chloramine sometimes. Man, I can really smell the chlorine some days when I turn on the tap. But, I don’t smell it anymore after it runs through the Berkey. So, maybe it really is doing something. I hope it’s not just a huge paperweight and waste of time. Hi, Is there any news on the issues with defective filters, as well as the unverifiable independent water testing? I wanted to buy one of these, but now I am hesitant, because how would I know whether the filter is doing anything? Can you post an update on how yours is working? And any new information on the testing/guarantee that it actually filters (despite the red dye test)? Shira – thanks for your comment because I was wondering the same thing. We’ve been using our Berkey for about 18 months and also have the additional flouride filters. I wanted to purchase backup filters but will all the defective filters & horrible customer service, I’m feeling very reluctant. I’ve read that the AquaRain filters fit the Berkey units, are made in the USA (MO) and function better than the Berkey’s. Anxiously watching for an update from Katie! Something else I just came across while researching – many cities are now using chloramines instead of chlorine. That is chlorine bonded with ammonia. It doesn’t come out with the same type of filter as chlorine does and its more difficult to get it out. I’ve read mixed hypothesis, some saying that carbon filters could take it out and others saying that no one has demonstrated that they do. So… another problem with no answer! Gah! I can’t figure out what to buy, or just stick with tap water. Thanks for reminding me! I still need to do the water testing thing – I jumped into it headlong and then got waylaid by other projects that were more pressing (or more interesting). I really would like to know more myself, but as of now, I have some information saved on my computer that I need to look through well at some point…when I have brain power to do it. If you’d like to see some PDFs of testing and whatnot, email me and I’ll send them your way! I asked Jeff, and he says testing for chloramines will be available first quarter 2013. On page 7 of this link, post #140 the poster says she was a believer in Berkeys until she tested the water after filtering it throughher Berkey, and found coliform bacteria. Hi, just wanted to say that I had my berkey water tested using the fluoride filters and it did NOT remove any fluoride at all. The amount of fluoride in my tested water was the same amount that my city adds to it. I am so disappointed that I wasted money on a Berkey. I contacted a customer rep and they basically told me that it may not work for everyones’ water. If you go to amazon, you will find other reviews regarding this same issue. Hello Katie, just wanted to ask if you have any updates on your water testing. I saved up some money to buy Berkey, but now I put my purchase on hold with all those uncertainties. Please let us know if you tested your water, and some updates on your Berkey. Do you still use it? What filters did you get inside? Wow, I suspected that if people started testing the water, they would be very disappointed in this product, thanks for letting us all know. I’m glad I purchased an RO system, which is proven to take out 98-99% of everything. I would HATE not knowing with one of those gravity fed filters. I was wondering if you know anything or have any thoughts about water ionizers like Kangen vs. a filter? I know many people making huge claims about issues clearing up with ionizers but it just doesn’t seem natural? Do you have any thoughts on this? We have been very disappointed with our Black filters and the customer service from Jeff, the Berkey Guy. They sold defective filters and won’t replace them without expecting us to basically buy them. I know it’s the manufacturer’s policy, but they won’t get my business again when they can’t or won’t stand behind what they sell. Don’t make the mistake of buying ahead to have on hand. We did and when we were ready to use them, we found they were defective and it was past the 6 month warranty period (something they didn’t tell us about when we bought them). There are too many dissatisfied customers and others who have had their water tested with poor results for me to recommend the black filters. Oh, dear, Christy, I’m really sorry to hear that. 🙁 I don’t think it’s very fair that a business aimed toward preparedness folks doesn’t allow buying ahead, ahem. I’m so sorry you had a bad experience – we keep testing our filters when we clean the system and so far, so good, but it’s still on my list to do my own water testing and see what I can find out. Thanks for the comment; it is important to hear all the sides of the story. Just another request for your water testing! I’m really anxious to get a filter system and WANT to trust Berkey but have read so many mixed reviews. I love your thoroughness and am anxious to hear more about this!